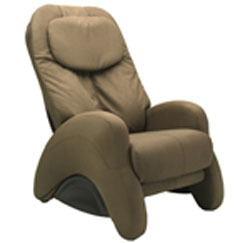 The iJoy 300 combines style elements of an iJoy with the size and comfort of a Human Touch massage chair. It features luxurious microsuede fabric, a power reclined backrest, and a higher rise from the floor than most iJoy massage chairs. Assembly required. iJoy®300 is at your command, 24 hours a day, 7 days a week. Each of four powerful massage modes can be programmed to give you the touch you prefer. 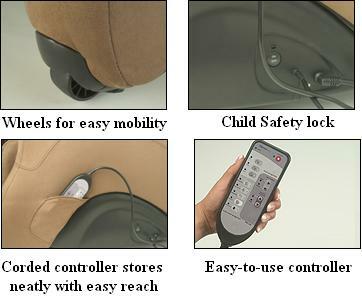 The controller has three different programmed massage sessions of 15 minutes, which means you can kick back and enjoy a programmed massage at the touch of a button.